Leightons Opticians & Hearing Care in Egham will now be showcasing one of our most exclusive designer brands, Jono Hennessy! Bringing a little Australian flair to the branch, you can now pop into store where our welcoming dispensing opticians can offer the best advice in a new pair of frames to suit you. Jono Hennessy offers anincredible selection of colours and designs, you’ll find yourself spoilt for choice! The brand was begun in 1925 in Sydney, Australia by founder C. H. Filmer, who originally created very classic and minimal frames that prioritised on optical performance over design and style. It wasn’t until the 1960s that they turned into the bold and colourful creations you can expect to see today – suddenly there was a whole new world of inspiration as the pop art trend exploded into fashion. By this time, Filmer’s son Jono Hennessy had inherited the passion for individual eyewear and looked to broaden the horizon of the company. As an art school graduate, he had all the creative influence of artists such as Andy Warhol and Roy Lichtenstein and gave the brands look a breath of fresh air. Starting with a box of his father’s old cat-eye frames to modernise, he played with textures and colours until the finished products were unlike anything available on the market. This theme continues to this day, as Jono Hennessy continue to look outside the safe rules of trends and give you something amazing. Today, you can expect the extraordinary with Jono Hennessy eyewear. Offered in only two Leightons branches, this specialist brand is a brilliant contribution our Egham branch, giving you the opportunity to wear a work of art. Hand made in high quality acetate, Jono Hennessy have the statement look of a fashion brand with the quality of over 90 years’ experience in the industry. 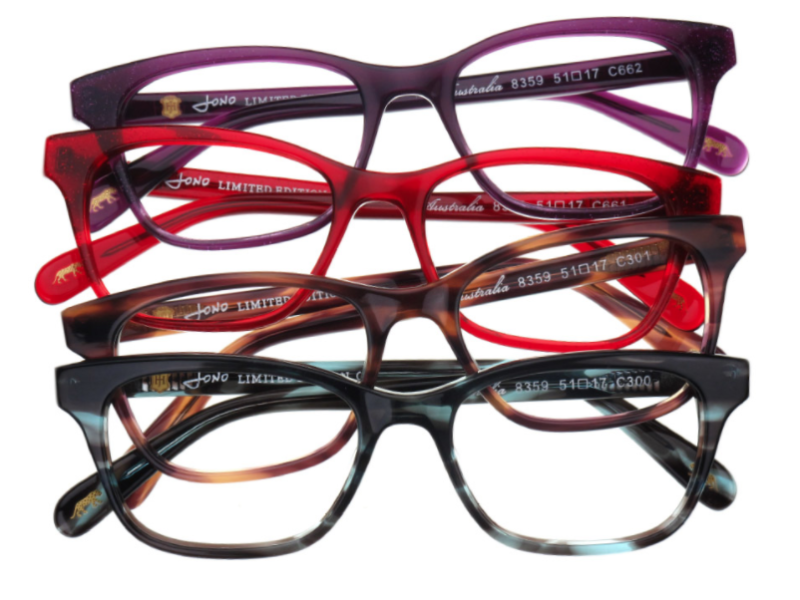 Leightons Egham is thrilled to have this colourful new attribute on the shelves for patients who want eyewear to be as unique as they are! If you are interested in viewing the stunning collection of Jono Hennessy that Egham have to offer, come in store where the team will be happy to see you. If you think your prescription needs updating, you can always book an eye examination online or call your local branch on 0800 40 20 20.